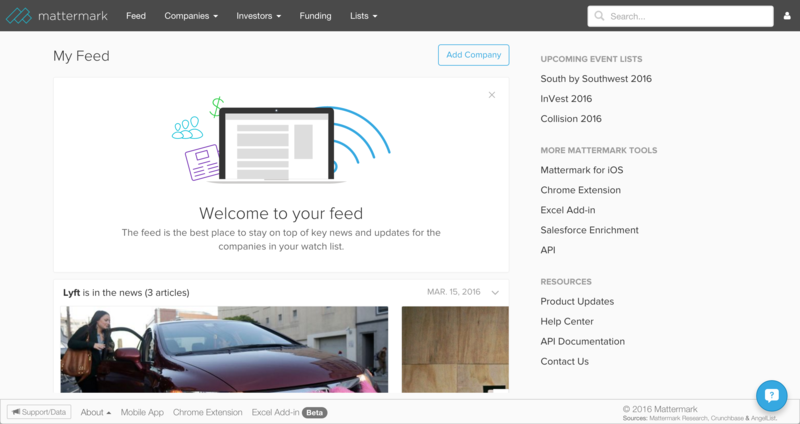 The Feed is the best place to stay on top of key news stories and updates for companies you care about. 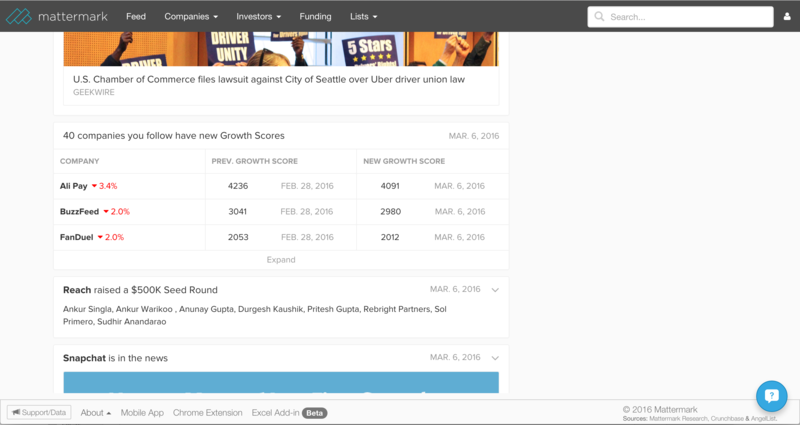 As soon as a company raises money, grows headcount, has a new growth score, or is mentioned in the news, an event is added to the feed. The Feed shows you events for companies in your watch list. To add more companies to your feed (or start from scratch) you can do any of the following: 1) Press &apos;Watch&apos; on company pages. 2) Watch in bulk from All Companies. 3) Press &apos;Add Company&apos; at the top right of your feed to add companies individually without ever leaving the page. Use the news and insights from your feed on a daily basis to determine when to reach out to prospects, check-in with customers, or keep track of companies in your portfolio.